It was an impressive sight: over 100 traders, muffled up after another winter’s day on the market, trooped into the overheated offices at MK Council to meet Labour parliamentary candidates Emily Darlington and Andrew Pakes. The burning issue? The real and imminent threat to MK Market. 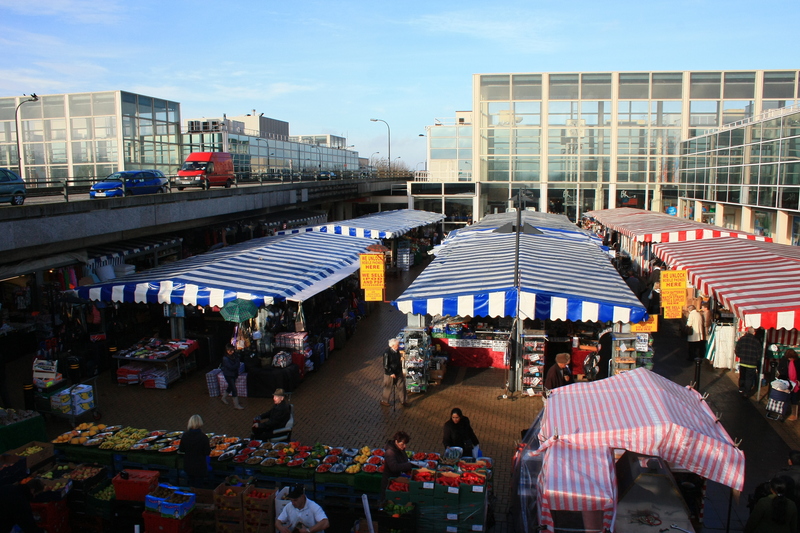 Traders are convinced that the centre:mk’s plans to build a new Primark over Secklow Gate and Market Square would be the death of MK market and with it over 400 jobs. “We are not afraid of competition or change, and would welcome improvements to the existing market, but the market is finished if it has to move from an ideal location to a small, third-rate site” said spokesman Chris Lee. She referred to English Heritage’s strong opposition to the plans because they were “not in the cultural or economic interests of Milton Keynes”, and later issued a statement as Labour Parliamentary spokesman for Milton Keynes North. “I am not opposed to a new Primark being built in Central Milton Keynes but the Council should investigate better locations in CMK where this could be built without destroying the market or our central grid roads.” Emily Darlington continued “CMK Market is an important part of the cultural make-up of Milton Keynes . If we lose it, we lose a part of our history”. Market traders welcomed the support of Ms Darlington and local Councillor Paul Williams. However they were clearly incensed at what they described as “this charade of a public consultation, run by the centre mk’s marketing machine” and called for a genuine, independent consultation before any decisions are made. The planning committee is expected to meet on the evening of Thursday 21 February to decide one of the most controversial developments in MK’s history. This entry was posted in 20th C architecture under threat, corporate greed, Destruction of CMK, General, MK Market, Primark, protecting CMK, Secklow Gate Bridge on January 27, 2013 by xplain.